We have arrived at our new marina. The trip down from Wheelock went fairly quickly as all the locks were in our favour. The weather wasn’t too good though with a cold wind blowing most of the time. 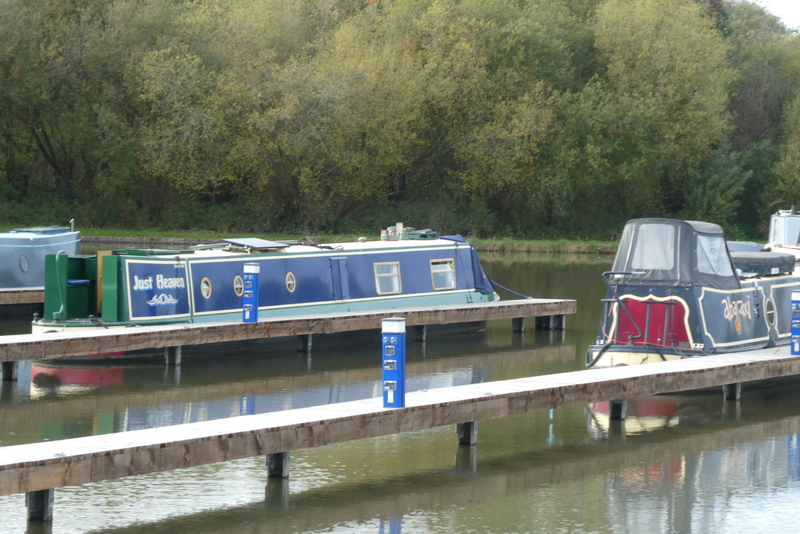 There were very few boats around, we didn’t meet any until after Middlewich. As we needed a few grocery type things a short stop in Middlewich seemed a good idea. So we moored up just after Big Lock and went searching for a supermarket. Obviously as Middlewich is going to be one of our nearest towns we are going to have to learn the layout better. First we couldn’t find the shops, then after we done the shopping we couldn’t find the canal! On arrival at Oakwood we we’re sure which was our mooring. Having decided which one, I then made a complete hash of trying to reverse back into it! The marina staff aren’t there on Tuesdays so we couldn’t confirm we were in the right place. We knew it was pontoon ‘H’, but they aren’t marked. Another boater on the same pontoon wasn’t any help as they didn’t know either. Walk across the fields to Cropredy marina.